Separations expert Tom Jupille assesses the evolutionary, revolutionary and mundane of todays chromatography, for the QC lab and beyond. We lasso the latest developments in process-scale systems. Manufacturers are ramping up liquid and lyophilization capabilities and adding specialized services. Transformational Leadership: Do You Have What It Takes? Visionary leaders create a mission worth striving for, an achievable vision and a strategy to optimize return from financial and human capital. Our survey on pharmaceutical operational excellence suggests that many drug companies still fail to take seriously two fundamental principles of manufacturing. How well are your competitors Lean, Six Sigma and other operational excellence programs progressing? 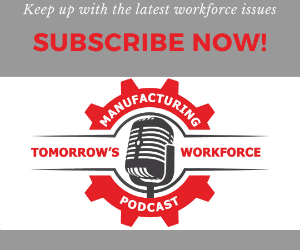 Is pharmas manufacturing culture really changing? Our first survey highlights strengths and gaps. All finalists deserving of praise, say the judges. Biotech may be big, but is there enough to go around? What works in the lab may not always work after scaleup, says contributing editor Angelo De Palma. Significant potential exists for improving energy efficiency in the U.S. pharmaceutical industry, and a focused, strategic approach can allow any organization to identify opportunities and implement efficiency measures and practices. This article, the second in a two-part series, summarizes strategies for reducing pharmaceutical facility energy costs.